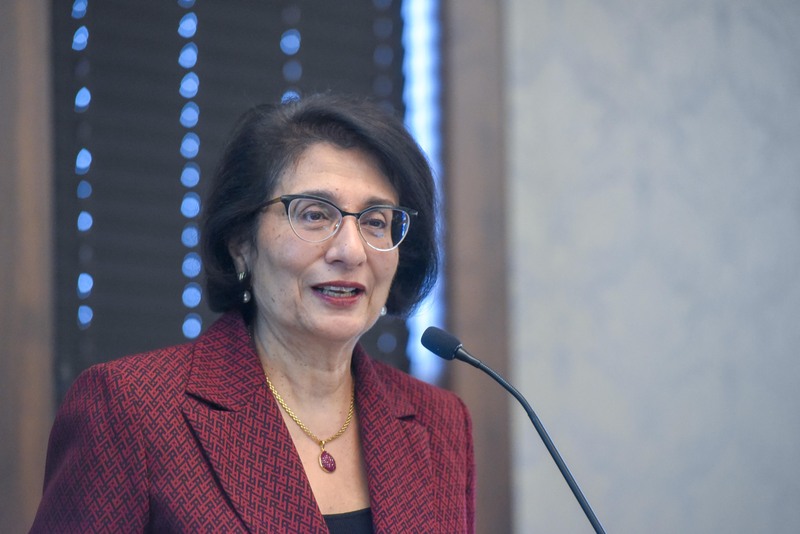 Dr. Rohini Anand, of Sodexo, speaks at Belmont University in Nashville, Tennessee, January 23, 2019. Anand’s time on campus was first spent with members of Belmont’s Welcome Home Diversity Council, an interdisciplinary team that oversees diversity and inclusion work on campus. Immediately after, she hosted an hour-long presentation open to all faculty and staff where she detailed Sodexo initiatives and the results they have produced. She went on to highlight workforce trends, as well as the importance of diversity throughout higher education. She ended her presentation with a series of lessons learned from her time with Sodexo.